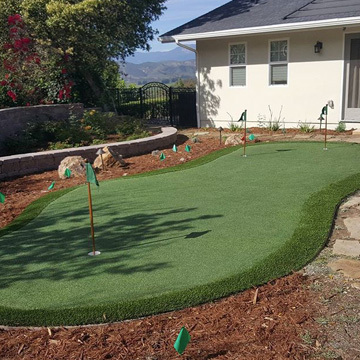 Artificial Turf Installer | Brigada Builders, Inc.
See which grass looks better at the front yard and near the pool. Find ways to save money on installation and maintenance. 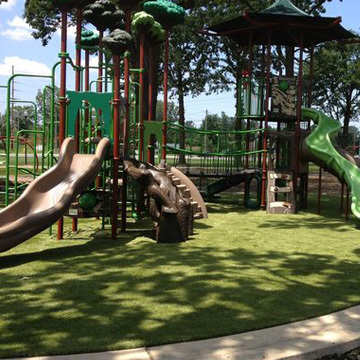 Learn what makes a playground safe for kids and pets. 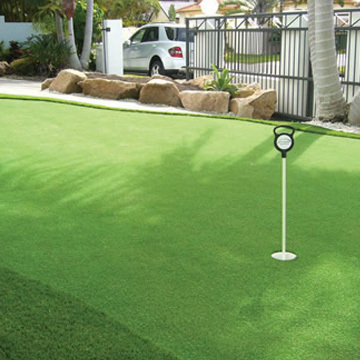 Discover the latest practices of putting green installation. We work with multiple producers to offer you options. We help you finance your home improvement project. 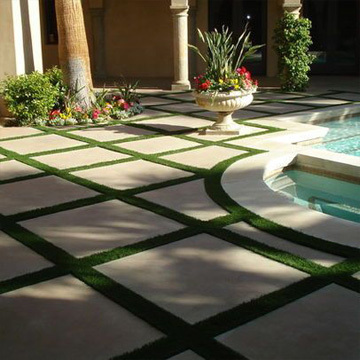 The demand for artificial grass installation can not meet the supply of professional installers. Installers hire new workers or subcontract jobs. This leads to uneven cuts, wrinkles, gaps, and teared corners. Our team is experienced and consistent with the quality. Unlike many others, we continue to offer grass installation services under the same name with full confidence. You will get the job done by professionals with attention to every detail. We reduce costs and pass savings to you by using specialized equipment and optimized processes. One does not fit it all. 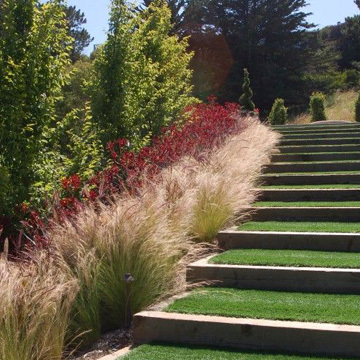 We work with multiple grass producers to meet your landscape preferences and budget. Get the right lawn and the right price.Unlike others, we give you options to choose from. We will help you finance the project. Why Invite Us For an Estimate? Our estimates are free and competitive. We match the price. You can schedule an estimate any time from 7am to 9pm. We carry multiple brands. Pictures often do not show the quality. With us, you can see them all at once. 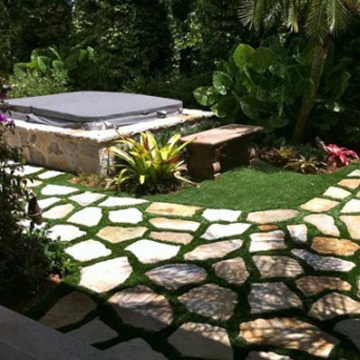 Learn specifics of artificial grass installation projects that apply to your landscape. Meet an educated and kind advisor. We are not going to push you. Sure! However, we realized that mailed samples are misleading. They arrive compressed, untreated, and lacking the sand filler. This makes it difficult to make a decision. 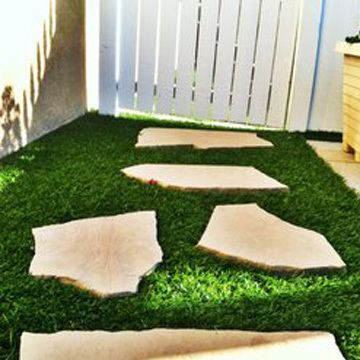 Instead, we bring complete samples of artificial grass to a scheduled appointment. 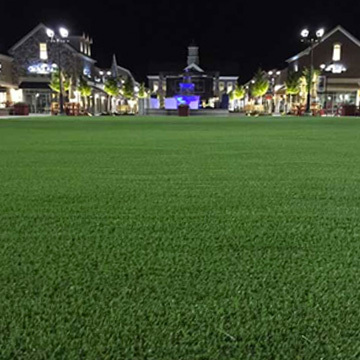 Does artificial grass get warmer? Synthetic grass does get warmer than a natural lawn when it’s out in direct, mid-day sun. On the flip side, artificial grass doesn’t retain heat in the shade or darkness. Be cautious with crumb rubber infills as they can get as much as 30% warmer than ambient temperature, bare foot hot. We do not carry those. Absolutely. 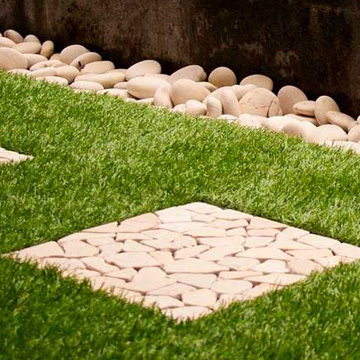 We select only grasses and products that are lead-free, non-toxic and low maintenance. They’re made and tested in the United States. 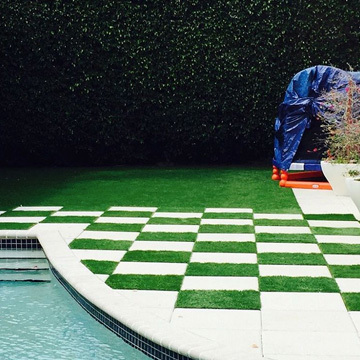 A synthetic lawn is an excellent alternative for kids that have grass related allergies. In addition, we can put a natural disinfectant infill on your request. 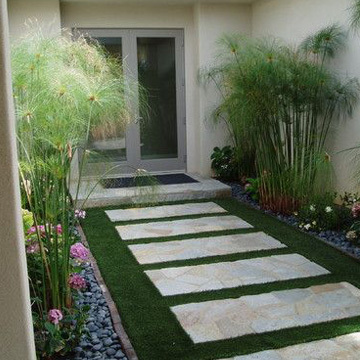 Most artificial grasses have an expected life span of 15 to 20 years. All grasses we work with come with a 10-year warranty. Plus, we provide a 2 year warranty on installation. How can I clean artificial lawn? You can use a leaf blower or stiff bristled broom for occasional cleaning. For lightly soiled areas and pet areas you can use a kid friendly, pet friendly, environmentally friendly enzymatic cleaner. In addition, you can use a pressure washer.When power washing your turf, at all times, keep your wand nozzle at least one foot away from your artificial grass. How fast can I return my investments in artificial grass? 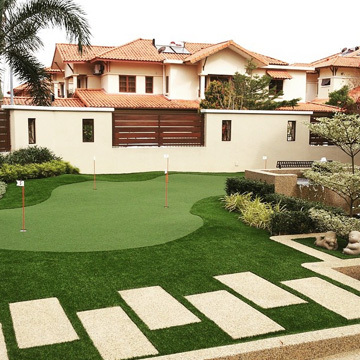 On average, artificial grass projects pay back within 3-5 years. Drastically increasing water bills can shorten the period. Accompanied by tax benefits, your lawn becomes a money saving machine. It is like earning a couple hundred dollars every months. Can you help with landscape design and deck construction? Yes, we are a full circle construction company. 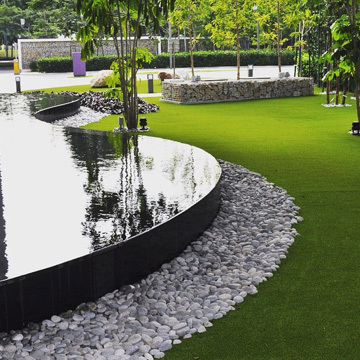 Artificial grass is only one of our specialities. Simply let us know that you have other projects in mind and we will happy to bring a specialist who can answer all your questions. Brigada Builders installed artificial grass in my backyard. The whole project took one day. I felt like they new what they were doing. No issues. We love the job. Will definitely hire again for the front yard. I saved a few thousand dollars by choosing Brigada Builders. Great quality. In time. Clean. I do not know what else to say. We invited Brigada Builders for an estimate. Andrew and John helped us to select the right grass and brought some ideas how to make the front yard look better. Their bid was a few hundred dollars higher. However they helped to finance the entire project and brought style to our backyard. Brigada Builders helped me restore the deck, put some lightning, and install artificial grass. The project went well, without any adjustments to the price. Though, it took 2 days longer than we planned initially. But I like the quality and precision of their work. I would definitely recommend their services. Thank you guys!